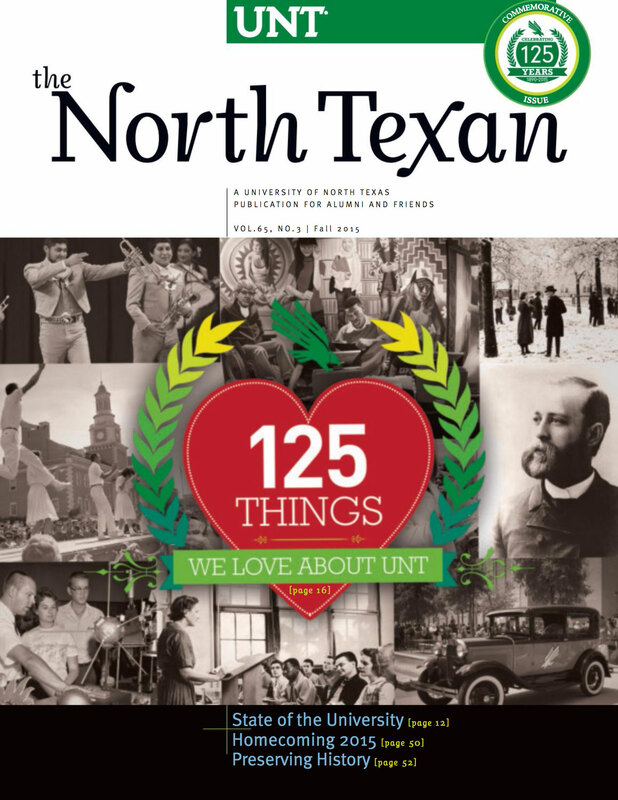 We compiled this list of the people, places, traditions and quirks that have made UNT dear to our hearts over the past 125 years. Since 1890, UNT has been an engine of opportunity, creativity and growth. President Smatresk outlines a vision for UNT to become nationally prominent. UNT's special collections help future generations connect to our history. The UNT community celebrates "Forever Mean Green: A Journey Through Time." Thoughts from UNT presidents throughout the years. The class of 2019 embodies the UNT spirit through and through. The UNT Alumni Association used feedback to create more programs for alumni. Scrappy and faculty members receive an invite to ring closing bell. The Mean Green is the team to watch with its talented student-athletes. UNT is focusing on more targeted recruitment of National Merit Finalists and other top students. Noel Jett, 16, chose to attend UNT to research a subject she can relate to. UNT formally kicked off its 125th anniversary with a week of festivities.